There is more to HSV than just "muscle"! There is, also, "style" - an important component in any car - and, in my opinion, there is value too. 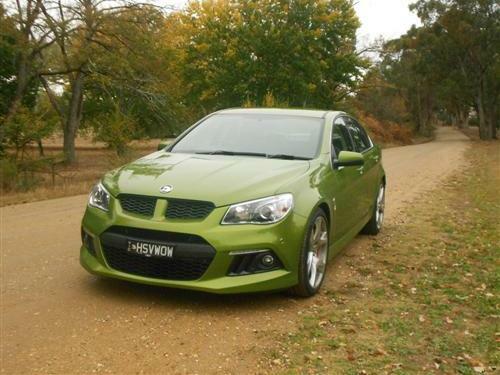 Whilst muscle is a prime motivator at HSV the other factors made our test car an appealing cruiser. Putting some 760 kilometres onto the clock qualifies me to make such a call. 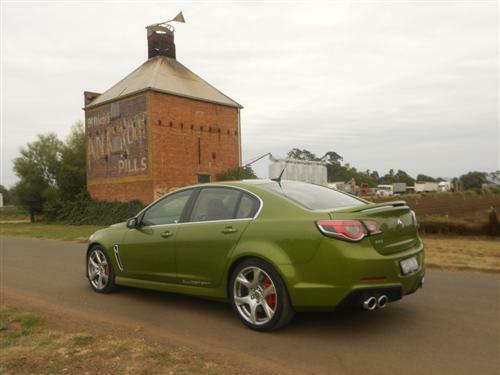 Our standout test car was a HSV ClubSport sedan in the guise of the now outgoing Gen-F model. Coloured "Jungle Green" this car certainly made an impression everywhere it went. 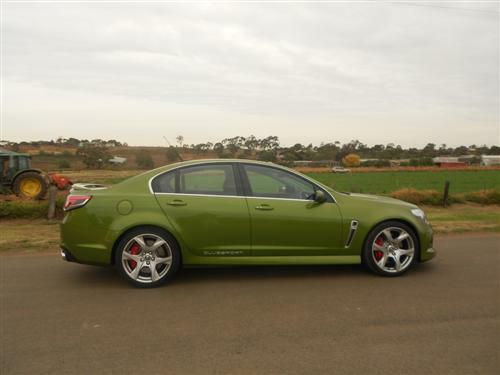 The HSV ClubSport has a manufacturer's list price* from $64,490* for the automatic version. 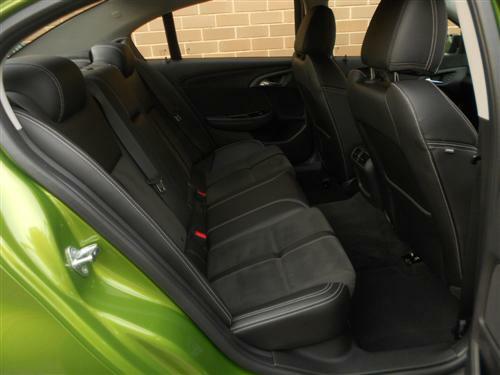 The test car came fitted with floor mats which add an additional $154*. With Gen-F now in run-out season there is bound to be a good deal for the remaining stock as Gen-F2 models begin to appear. Don't worry about having a superseded model on your driveway. In two years time both versions will be two years old. We managed an extensive urban undertaking around Melbourne and, additionally, some out of town enjoyment at places such as Bacchus Marsh and Gisborne and beyond where we hit our top speed of 110 km/h on the Calder Freeway. There is no fun driving irresponsibly above the speed limit so let it be said that even a muscle car is thoroughly enjoyable below and at the speed limit. The appeal commences with the exhaust system! The V8 engine ensures it sings beautifully. Driveability is amazingly manageable despite all the muscle. 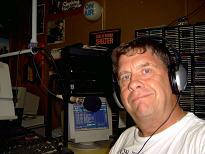 But, as with any performance car, the driving should only be undertaken by experienced drivers. The team particularly enjoyed the ride comfort, which exceeded our expectations - the performance tuning doesn't detract from the comfort in the team's opinion, and the driving dynamics were superb just as we have come to expect from HSV. The 6.2 litre V8 produces 325kW of power at 6,000rpm. Torque is a very handy 550Nm at 4,600rpm. A six-speed manual transmission is standard but the test car came with the smooth 6-speed automatic which features Active Select and paddle shifters. The wheels are silver-finished 20" alloys that look good, in my opinion. Very suitable for the style of the car! A tyre sealant and air compressor kit is included to cover for those unwanted occasions. Brakes are AP ventilated discs with forged 4-piston brake calipers. The parking brake is the electronic type (a great feature). We averaged 17.5 litres per 100 kilometres during our 760 kilometres behind the wheel. 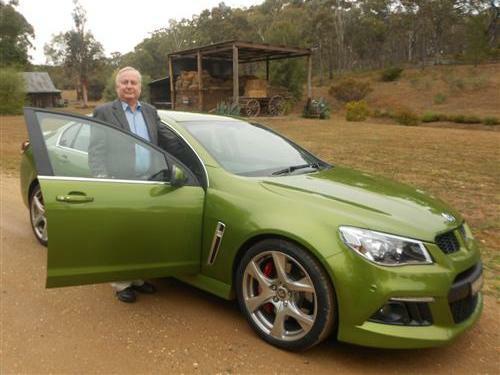 The big V8 uses 98 RON petrol to ensure premium performance. Lower grade petrol is OK if you cannot find 98RON but it will reduce the performance quality. The fuel tank capacity is 71 litres. Bluetooth for compatible devices, 8" screen, single CD player (MP3 compatible), USB input, iPod integration, AUX jack, 8-speaker AM/FM radio. 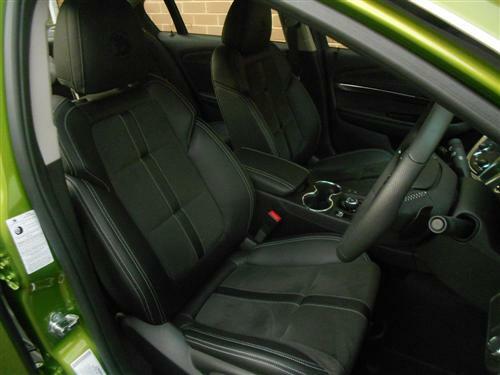 Standard: Nicely styled and attractive cloth trim, 4-way electric adjustment for driver's seat, satellite navigation (with active grid lines), low-line spoiler, LED tail lamps, automatic park assist, electronic power steering, hill start assist, height and reach steering wheel adjustment, alloy pedals, leather wrapped steering wheel and gear shifter, and dual zone electronic climate control. Blind spot recognition, reverse traffic alert, ESC (includes anti-lock braking, electronic brake force distribution, electronic brake assist, traction control system), six airbags and a rear view camera. HSV now offers capped price servicing. The satisfaction with the HSV ClubSport commences with the appearance of the car but the real delight comes from the driving dynamics which includes superb road holding, braking, steering and thrilling acceleration. The comfort is, in my opinion, extremely good. It is just what a sports sedan should be. 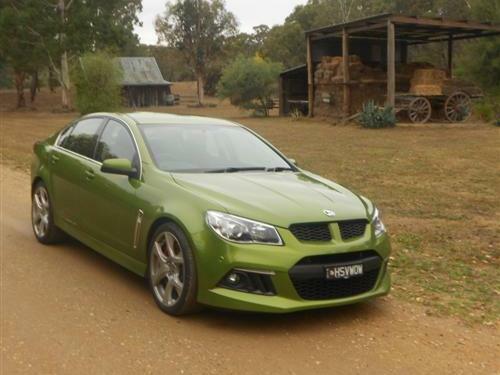 With cars as compelling as the ClubSport, it is easy to understand why the HSV brand has the status of a legend. And that's the way it should be!